Update on Hollywood Fire Reviewed by Edgeville Buzz on March 3, 2009 . 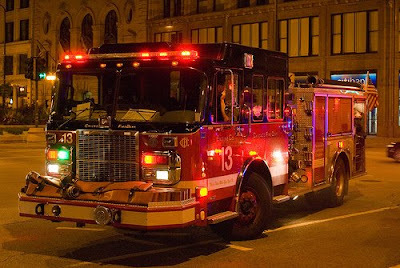 Thirteen people were injured in yesterday’s fire at 1040 W Hollywood. Many people became trapped on their floors and had to be rescues by firefighters. Most were taken to the hospital with inhalation injuries, although one known woman is known to have suffered serious injuries after jumping from an upper floor of the building. A number of children were in the building at the time of the fire, due to the Polaski day holiday. The cause of the fire is unknown.